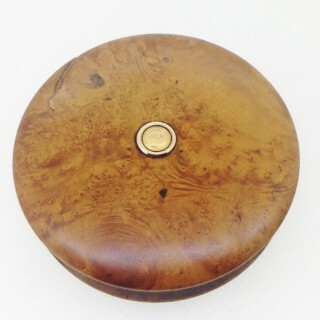 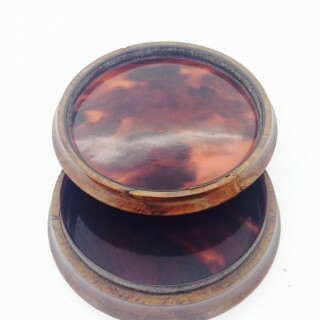 Early nineteenth century burr walnut round snuff box with central gold metal Duke of Wellington medal in 9ct gold rim. 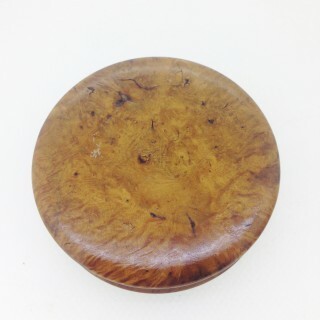 The interior to top and base is lined with tortoiseshell. 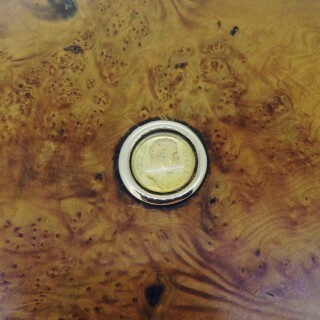 Small stress crack to one edge. 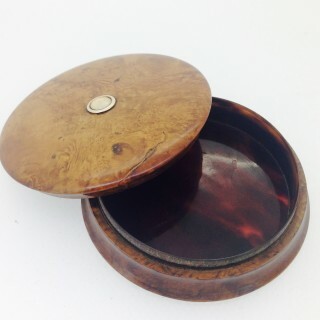 Duke of Wellington Snuff Box.